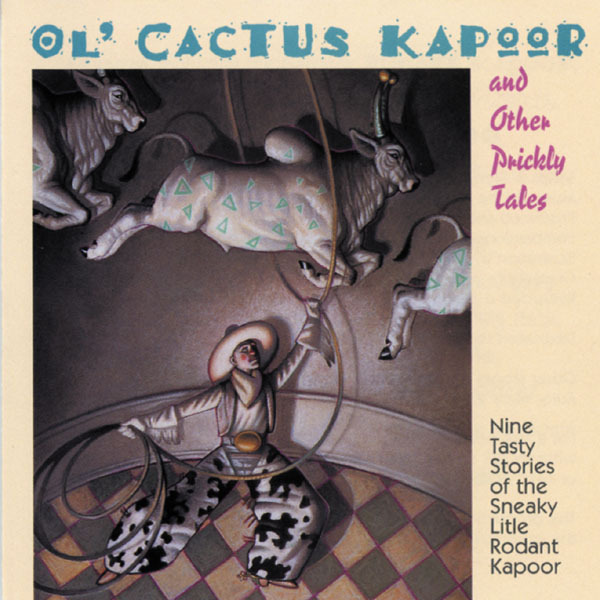 Nine humorous tales of the sneaky but oddly beloved little Rodant Kapoor. Great fun! Ol’ Cactus Kapoor - Rodant dresses up as a cactus in order to catch some ornery cattle rustlers. But he finds he needs to redesign his disguise. The Colossal Kapoor - Following the advice of a TV commercial, Rodant orders a case of “Extract of Big Louie” to make himself taller. Not satisfied with the results, he drinks the entire case. The Seven Sacred Sapphires of Kapoor - Rodant encounters a couple of Wizards guarding an ancient statue of a goddess with seven precious sapphires. The statue looks a lot like - his mother? Also included: Judge Rodant and The Rest of The Rats, Extract of Little Fooie, The Purple Purse, The 12 Famous Land Sharks School, Trader Kapoor and The Woolie Boolies, and How Real Is Real Anyway? ​​​For fans of radio dramatization, sci fi radio drama, audio theater, funny short stories, and radio drama stories. Charming stories perfect for charming a writer’s fancy. Also, the short stories make having the time to listen a problem of the past, there’s always time for Kapoor!